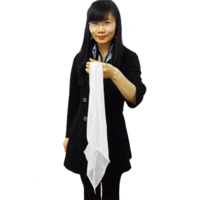 Today, when you order "Perfect Silk to Ball white(Automatic)by JL Magic", you'll instantly be emailed a Penguin Magic gift certificate. You can spend it on anything you like at Penguin, just like cash. Just complete your order as normal, and within seconds you'll get an email with your gift certificate. Order in the next 4 hours 5 minutes and it will ship TODAY! 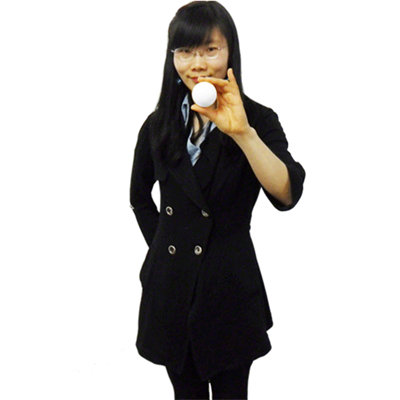 Comes complete with Trick ball, 2 white silks, QR Code with instructions. The prop works as advertised. It's very well constructed just be aware although it's strong it is still made of hard plastic and could crack if you were to step on it or repeatedly drop it. This ball will not bounce. 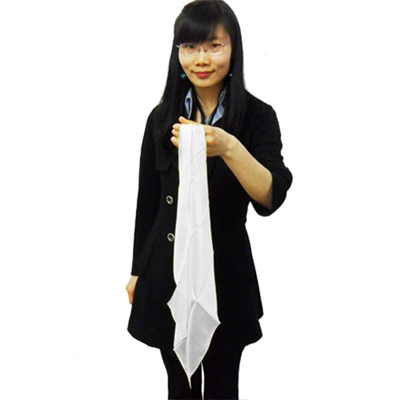 It's a very visual transformation and the silk loads into it smoothly as advertised, you are generously supplied with 2 nice quality gimmicked matching silks in case you lose or break one which is unlikely. 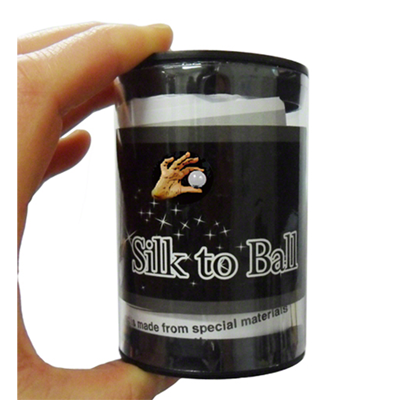 This has many applications in a silk and ball routine! A highly visual transformation that is easy to use, and delights layman. Does what is says. This gimmick is amazing, have try many different ones, this is the best one by far. Great job by JL and great job penguin magic for having in it. 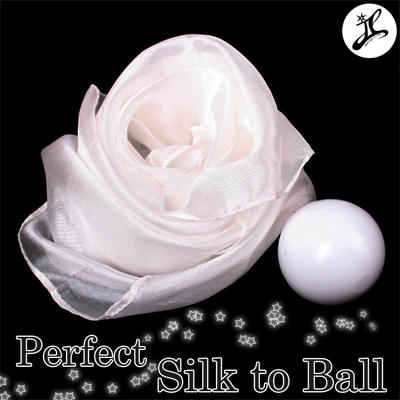 The Perfect Silk to Ball operates well. The first one I ordered broke when winding the spring on probably the twentieth time. It may be that it should not be wound too tightly...just enough that it feels tight...if this degree of winding has been reached but the locking mechanism cannot be engaged, don't force it any farther. Release a bit of the tension so that it will engage. I do want to say THANK YOU to Penguin Magic for allowing me to return the broken item and sending me another!